Tax season is in full swing, which means its time for cutting corners, white lies and twisting the truth. Why is that? Why do we not trust God to provide what we need, within the parameters of doing what is right? Stop and think about your life. How often do you drive five miles (or more) over the speed limit? Just because you probably will not experience consequences means you don’t have to obey the law? Dang. Or how often do you skew your insurance policy so you don’t have to pay as much? How truthful were you when you filed your taxes? Is a couple hundred extra on your return really worth being a bit shady? How many times a day do you alter a story to save or improve your image? In school, how often did/do you copy answers or use someone else’s work? At your job, do you actually do everything that is expected of you, or do you do enough to get by and stretch the truth about the rest? How honest was your last job application and interview? How often do you skimp on the amount you tithe? How often do you sign for someone else or fudge your time card? How much music and movies do you own that you didn't pay for? How often do you text while driving? One could come up with a litany of similar examples. One could come up with many more excuses. Just think: if you always drive the speed limit, you will never watch for a cop again, because you have nothing to hide. Driving is a great illustration for just doing what is right. If you never lie, if you never fudge numbers, if you never are sketchy at work, you will always have a clear conscience and never will have to worry about getting caught. If you have to hide what you are doing, you should knock it off, outside of a surprise party. I can think of several examples where I was shady. When I moved to Texas, I held onto my Illinois plates as long as I could. I did not want to pay for an inspection, a new license plate, registration, the Welcome to Texas tax, tollway fees and all of those expenses. In my academic career I have definitely used other peoples’ answers to avoid spending time on an assignment. When I was in college we would take toilet paper and trash bags out of the custodial closets and justified it by saying, “well we already pay an arm and a leg to go to school here.” For my high school rite of passage project I made up an interview with a personal trainer. In advanced English, despite my mother’s reproving words, I maintained I had read the required books, when in reality I had simply perused the cliff notes. All of these are examples of not trusting Him and doing what's "normal." 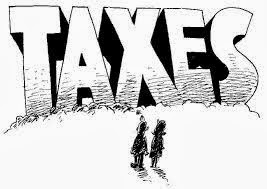 If one truly trusts God and His plan, there is no reason to cut corners or lie on your taxes. Yes, always following the rules will bring more work but do you not think God will make sure you are capable of doing what is moral and right? I think the shame from being sketchy is more burdensome than simply doing what you are supposed to. When you are dishonest you are taking matters into your own hands. You are telling God that you don’t need Him and you can handle all of your issues on your own. You don’t trust that He will make ends meet if you tithe at least 10%. You don’t trust that He will give you the strength to sufficiently complete what is expected of you at school or work. You are not trusting Him with your finances, so you misreport your taxes and adjust your insurance policy. There will be people who will say that a lot of the examples I have listed do not bother their consciences at all. They have no trouble going to sleep at night; they have simply done, or not done things, just like everyone else. This does not surprise me. They will focus on things like driving five over and miss the point of the post. If we can’t trust Him with simple small things, how can we trust Him to be who He says is, to come through for us? When you become a sold-out Christian, you become much more sensitive to your sin. The more spiritually obedient you are, the more you notice your propensity to cut corners. Its like a habitual liar: they are so used to fabricating the truth, not only do they not know they are doing it, they actually begin to believe the stories they are telling. As you soften your heart towards His will and how to live right, you will observe more and more ways you bend the rules for your benefit. It will surprise you when you realize that you, yes you, were being a bit dishonest. This year when you do your taxes, if you haven’t already, I challenge you to be a goody-two-shoes and be abnormal. I challenge you to be honest on every single line of that tax form, down to the last detail. I challenge you to trust God to provide for you. I challenge you to have integrity when no one is looking, to tithe at least 10% and to be completely truthful at work. The bottom line is always do what you know is right, always follow the rules and trust God to handle the rest. “If you think you are not conceited, it means you are very conceited indeed” (C.S. Lewis). Adam Miller, guest author on Beyond Mediocrity, is currently a teacher in Texas.